Parents of children with autism can have unique challenges in diagnosing and treating their children’s hearing loss. For Autism Awareness Month, blogger Jen B. from Oregon, U.S. has written about her 3-year-old son Xander’s hearing journey, from difficult diagnoses to helping him learn to wear his new sound processor. You can follow Jen’s blog here on WordPress or here on Facebook. But no response did I ever get from my son. Xander, now 3, plays at school. He will turn on a dime if he hears his favourite theme song start up. He’ll sing along in perfect pitch. And yet, dogs barking right next to him never make him flinch. My son was born three weeks early with a collapsed lung and rapidly dropping sugars. Very soon he was transferred to a hospital with a Neonatal Intensive Care Unit (NICU). When I first saw him it was obvious that there was a slight deformity of his right ear. I assumed he had lain on it wrong in utero, and that it would work itself out. The hospital gave Xander a hearing screening, as was standard procedure for all NICU babies. The nurse came in while he was asleep on me and checked his left ear first, because that’s always, even now, the ear he has to have facing out while snuggling. The nurse tried twice to check his right ear and still seemed perplexed, because she couldn’t get the readings she was used to. Ultimately, she marked it as a pass. It was only later we learned Xander’s hearing wasn’t normal. Autism affects all forms of communication. Where a neurotypical child with a hearing loss might pull at their ear, say they can’t hear, or make some sort of gesture – something — we got nothing. It gradually became clear he needed to have his hearing assessed. At about 2 years old Xander finally saw an audiologist. Autism can make a child both seek out stimulations (sensory seeking) and feel overwhelmed by them (sensory overload), so diagnosing hearing loss can be a challenge. In a room with all sorts of things making noise and lighting up, Xander wasn’t very cooperative. His tubes were clear, but the audiologist scheduled him for a sedated Auditory Brainstem Response (ABR) hearing screening. All the worst-case scenarios came into my mind during the scan, which felt agonisingly long. Jen poses with 3-year-old Xander, wearing his Baha 5 Sound Processor on a Softband. About six months later Xander need an MRI for another issue, so we decided to have the CT scan done at the same time while he was sedated. We learned he is missing the third stapes, or stirrup – one of the bones of the ear – on his right side, a rare condition. There is a surgery to implant a prosthetic stapes, but Xander’s major facial nerve runs where the bone should be, making the operation too risky. We decided instead to treat Xander’s hearing loss through bone conduction. The sensory sensitivity caused by Xander’s autism made it hard for him to wear his first sound processor. The constant vibration against his head, the increase in noise and the strap around his head were difficult for him to tolerate. I would try bribing him, like I do with his glasses. “If you put it on, you can have a candy.” It didn’t help much. When Xander’s trial was over, he received his Cochlear Baha 5 Sound Processor, and we both loved the way it looked. When I pointed out how cool he looked wearing it on his Softband, he beamed with pride and wore it for several days, for long stretches at a time – even to school! Believe me when I tell you that I cried when I said, “Xander!” and he looked up at me. He was able to hear the start of his favourite show in the whole world. He was mesmerized. He had never noticed all the nuances of it before he got his Baha processor. He could understand enunciations. He could hear his electronic toys, the ones that had never interested him before. A whole world opened up to him. But for a child with autism, that can be really intimidating. After an accident left him injured, Xander has become even more sensitive to stimulation, and sometimes getting him to wear his sound processor is nearly impossible. Well, every day is a different day in the world of autism. While trying to take a photo of him wearing his sound processor, I was able to capture a whole video. He let it stay on while cruising around a department store today. I was so excited, and I hope tomorrow he’ll leave it on even longer. The opinions expressed in this blog are my own views and not those of Cochlear. If your child is showing signs of hearing loss, use this tool to find a clinic near you. Want to share your story, hearing tips or Baha advice with The Baha Blog? Let us know! Find us on Twitter at @TheBahaBlog, on Facebook at our page The Baha Blog or via email at bahablog@cochlear.com. 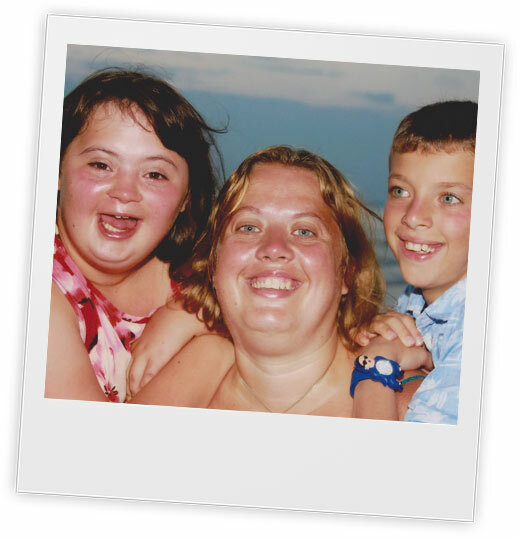 This blog was adapted from its original article on Hear and Now, a Cochlear Americas recipient blog. Read it here. Dwight J. of Colorado streams a phone call directly into his Baha 5 Sound Processor. Sometimes losing something important to you turns out to be surprisingly “wonderful.” Just take it from Dwight J. in Colorado, U.S.
After a day of hiking, Dwight noticed he could not hear as well as he was used to. He reached up and discovered his BP100 Sound Processor was gone. He looked everywhere for it, but he realised he must have lost it while out on the hike. Dwight acted quickly and called Cochlear to get a replacement. To his surprise, the representative told him Cochlear no longer offered the BP100. They introduced Dwight to the Baha 5 Sound Processor, and he knew he wanted an upgrade. “It’s wonderful,” Dwight said after upgrading. He said he especially likes being able to connect to his sound processor with Bluetooth, stream phone calls and stream radio directly to his sound processor while out on a walk. Dwight also said he carries his Cochlear Wireless Mini Microphone with him wherever he goes. “I put it on whoever I’m talking to, if I’m in a loud situation, so that I’m able to hear them,” he said. When it comes to continuing his journey as a part of the Baha family, Dwight seems thrilled. Dwight is a member of his local chapter of Cochlear Community, a Cochlear Americas program that connects Cochlear recipients in the U.S. 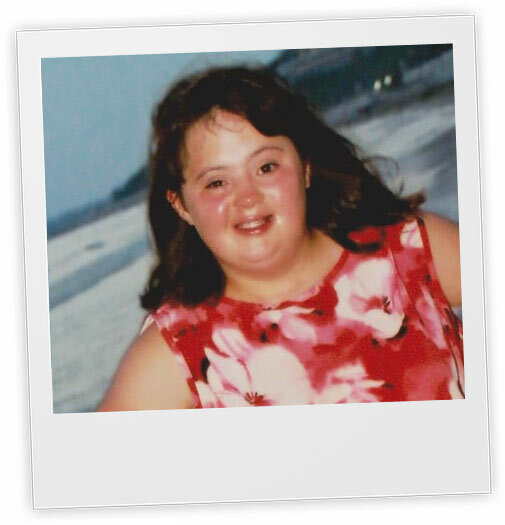 The following is a re-post of a guest blog from 2014 about Chloe, who was born with Down syndrome and lived with hearing loss until she was implanted with the Baha System at 10 years old in 2010. Chloe was 14 when her mother Jane wrote this guest blog to share with us the affect Chloe’s Baha implant had on her life. 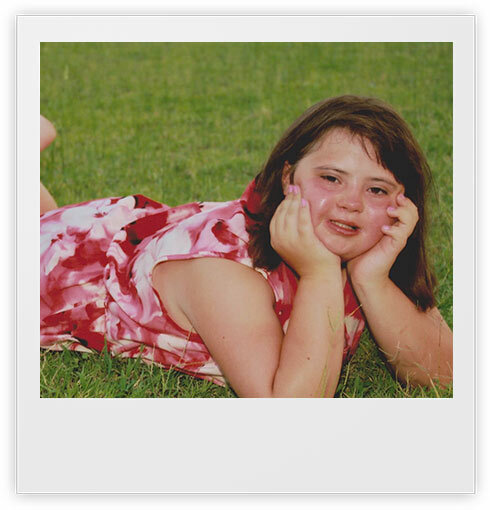 Join us in marking World Down Syndrome Day today (21 March) and celebrating children like Chloe. It’s been a while since you last heard about Chloe. She is now 14, in year nine at senior school and even more of a little madam than when we last met four years ago. Unfortunately Chloe’s health hasn’t been very good the past two years. She has had some major operations which have left her bed bound for weeks, and in and out of hospitals. Chloe has shown incredible strength and determination, both because that’s the type of girl she is and because she was able to communicate effectively with hospital staff and myself. This is all thanks to her Baha sound processor. Chloe’s language skills and attention skills have flourished over the last four years; her vocabulary has grown, she is learning new words each day and she is definitely more attentive to those talking to her (apart from when she chooses not to!). This meant the hospital staff was able talk her through what was going to happen and she could indicate her pain levels and talk to the doctors. I dread to think how she would have coped six or seven years ago, when her hearing levels were so low, and she hardly had any language. The world would have been a very lonely and scary place for her. Chloe still loves drama and attends a very good secondary school that specialises in drama so she can devote more time to her passion. She is still my drama queen and a budding actress, dancer and musician. Obviously she is becoming a young lady and her life is changing. Developing language and communication skills has played a big part in this and will continue to do so. My one aim for my daughter has been to become as independent as her disability would allow her. The Baha [System] has contributed to the success of this aim. She can order her food in restaurants. She can shop at the supermarket. She is also very good at being a typical teenage and slamming doors on me! Jane lives in Birmingham, UK. In 2013 she won the Birmingham Parent of the Year Award for her tireless work with a special needs support group, as well as caring for her own two children who both have special needs. Sometimes life takes an unexpected turn and we find our “status quo” has been uprooted. When things are not going according to plan, it can be easy to feel lost. But that does not mean it is the end. In fact, it may be a new beginning. Meet Dennis, a Baha® 5 SuperPower recipient. He had normal hearing until 2012, when he went to the doctor because he suspected he had swimmer’s ear or inflammation. Instead, Dennis was diagnosed with an acoustic neuroma— a rare, non-cancerous tumor that presses on the eighth cranial nerve leading from the brain to the inner ear. Common symptoms include hearing loss, tinnitus and vertigo. Doctors estimated that his tumor had been growing for about 20 years. Doctors told him his treatment options were surgery or radiation. Dennis opted for surgery in April 2013 to make sure the tumor was completely removed. Six months later, at a post-surgery follow-up with his ENT, Dennis first learned about the Baha System. That was when everything changed. He had abutment surgery in December 2013, and by February 2014 Dennis was fitted with the BP110 processor. He said it helped him to become more aware of his surroundings. “People couldn’t sneak up beside me on my right side, and I was aware somebody was there. That was basically why I did it,” Dennis said. In March 2017, he upgraded to the Baha 5 SuperPower. Denn is said one of his favorite features is the rechargeable batteries. Reflecting on his journey and his advice for others, Dennis compared hearing loss to navigating in the dark. It’s a lot easier when you have a light. For more information on the Baha 5 SuperPower, click here. To find a hearing specialist near you, click here. First released only months ago, the new Baha SoundArc is already beginning to improve hearing experience for some Baha users. For one 82-year-old user in Belgium, the SoundArc proved to be an innovative solution to the daily discomfort of an outdated steel headband. The patient, John (not his real name), was not able to receive a Baha implant, so he instead wore his Baha Cordelle II on a steel headband. The headband became uncomfortable, painful and even created pressure wounds on his head, so he rarely wore his sound processor and instead lived with his hearing loss most of the time. His audiologist even worked together with an orthopaedic technician to modify the headband and adapt it, but still the discomfort was too much for him. When John upgraded his sound processor to a Baha 5 SuperPower in 2017, he was already able to hear a great improvement in speech understanding. Still, he had this uncomfortable headband that kept him from wearing his sound processor much of the time and improving his day-to-day hearing experience. A patient wears a Baha 5 SuperPower sound processor on a SoundArc. The turning point came in November of 2017, when the audiologist was able to offer John the new SoundArc and attach to it his Baha 5 SuperPower. Easier on the skin and the eyes, he said it was both profoundly more comfortable and much more attractive than his old steel headband. The audiologist, very happy with the new solution, said, “This is a textbook example of how a Baha sound processor fitting should be!” John hopes to get adjusted to wearing his Baha 5 SuperPower for longer periods of time now that he has a creative and comfortable solution. Happy World Hearing Day 2018 from The Baha Blog! Today, 3 March, is World Hearing Day. Everyone deserves to hear what the world has to offer. Help your loved ones hear the difference today at hearingmatters.info and share the video! Join the conversation on social media with hashtags #HearTheFuture, #WHD and #HearingMatters. March 3 is World Hearing Day, observed globally and designated by the World Health Organisation. To mark the occasion, The Baha Blog has asked Dr. Anders Tjellström, the pioneering bone conduction surgeon, to reflect on the history of bone conduction and what developments the future could bring to the treatment. It is an old saying that to be able to look into the future you must know the past. However, when a patient has already developed hearing loss from noise exposure, hearing devices are often the only solution. In severe cases a surgical procedure placing a cochlear implant in the inner ear might be indicated. Even if sensorineural hearing loss is the most common cause of poor hearing, there is another group of patients who have severe conductive hearing loss. Some patients with congenital malformation and chronic ear disease could be helped with surgery, but for many this is not an option. Some of these individuals cannot use a conventional air conduction hearing aid where the amplified sound is presented through a mould in the external ear canal opening. For these patients, a bone conduction device could be of great benefit. Direct bone conduction is based on the concept of osseointegration – the process by which bone bonds directly to the surface of an implant – a term introduced by professor Per-Ingvar Brånemark in Sweden. Bone conduction treatment for hearing loss starts with an implant made of titanium placed in the bone behind the ear, onto which a transducer could be attached. The sound goes directly to the inner ear bypassing any defect in the external ear canal and the middle ear. This is called direct bone conduction, and the treatment is indicated in patients with mixed or conductive hearing loss, or single-sided sensorineural deafness (SSD). In 1977, the first patients were treated with bone conduction at Sahlgrenska University Hospital in Gothenburg, Sweden. This is now a routine operation all over the world, and it has been estimated that about 150,000 to 200,000 hearing impaired people have since been treated with bone conduction. The hearing instrument and the surgical technique have of course been refined over the years. Engineers have applied modern technology to the early prototype of the 1970s, and today the sound processor is a highly sophisticated device. Hearing technology has come a long way since the ’70s. The most recent Cochlear Baha 5 Sound Processor is the smallest bone conductor available and comes filled with many programming options that could be controlled wirelessly with the Baha 5 Smart App. It can be adjusted to fit a variety of listening situations with options like audio streaming and Bluetooth connectivity. The Cochlear Wireless Phone Clip allows hands-free use of your phone. Directional microphones make it possible to hold a conversation even in noisy places. Many of the wireless needs we encounter in everyday situations are already available in the Baha portfolio. The Baha Attract System from Cochlear, where the sound processor is kept in place with a magnet without skin penetration, is already used by many patients. The SoundArc is also a recent addition to the Baha family. No surgery is needed as the high quality and power of the Baha 5 sound processors can overcome most of the soft tissue sound attenuation. Cochlear is already making strides into the future with hearing technology, but where is bone conduction hearing headed? More and more of the electronic components of the sound processor have already been miniaturised and, looking to the future, could be placed in the implantable part. This means that eventually, the need of skin penetrating coupling might even become obsolete for direct bone conduction. As bone conduction treatment evolves, more and more people will have access to helpful hearing solutions in the future. It is of course impossible to predict the future of bone conduction, but advances in the last 40 years can give us a clue to how advanced hearing technology could become just 40 years from now. Anders Tjellström is an ENT-surgeon who performed the first surgery for direct bone conduction hearing in 1977 in Gothenburg, Sweden. He has published and presented bone conduction research at scientific conferences and surgical workshops in more than 50 countries. Tjellström remains active in the field of direct bone conduction as Professor Emeritus at the University of Gothenburg.